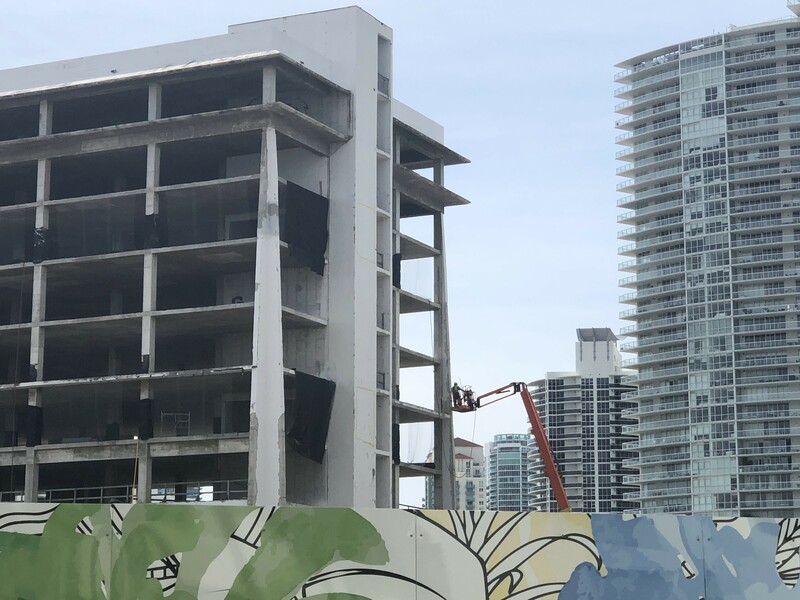 Developer Russell Galbut and his team are preparing for a day that has long been anticipated by neighbors of the vacant South Shore Hospital: the demolition of the old shell that has stood at one of the gateways to Miami Beach for more than a decade. As part of the approval process for a new tower at 500 Alton and the donation of a three-acre park to the City, Galbut promised to demolish the structure as soon as possible. That day is April 16. The building will come down in spectacular fashion, via implosion at 10:00 that morning. The original date was April 14 but due to the South Beach Triathlon and the closing of I-395 for filming of Sony Studios' "Bad Boys 3" movie, no one thought it was a good idea to add to the traffic tie-ups so the date was moved. Galbut detailed the schedule for the implosion and its impact on the immediate area at a community meeting this past week. BG Group is the general contractor and Controlled Demolition, Inc (CDI) is the implosion subcontractor. 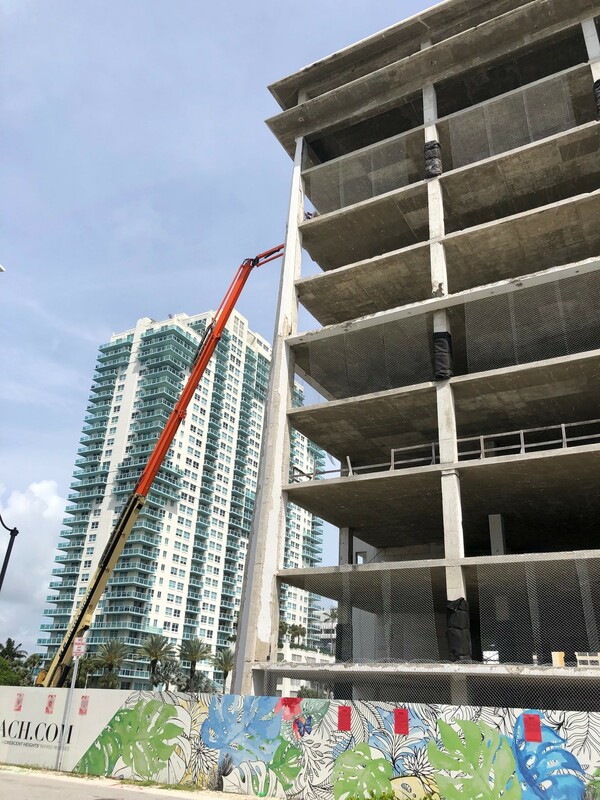 Ivy Fradin from the BG Group noted the company is a “16 year-old Florida-based demolition contractor” managing the process at 600 Alton. Since March 25, they have been on-site beginning prep work for the demolition. While immediate cleanup will take place on the streets following the implosion, Fradin said site clean-up will take from 6 to 8 weeks. “We try to under promise and over deliver,” she said. Galbut has focused on resiliency in the construction of the development that will encompass the 500-700 blocks of Alton Road through the green space in the park, green roofs, and water holding areas among other things. He’s hoping to be able to re-use the old concrete from the demolition on-site. “We’re looking at the possibility of crushing the concrete on our site and using it on our site because, you know, we need a lot of fill,” he said. “We’re still analyzing how much we would have to crush and whether or not it’s logical to do it.” If so, the only thing that will need to be trucked out is the rebar inside the concrete along with the demolition debris from the old 7-11 on the site which will also be taken away at the same time. A portion of the video of the presentation can be viewed on Facebook via Andres Asion.